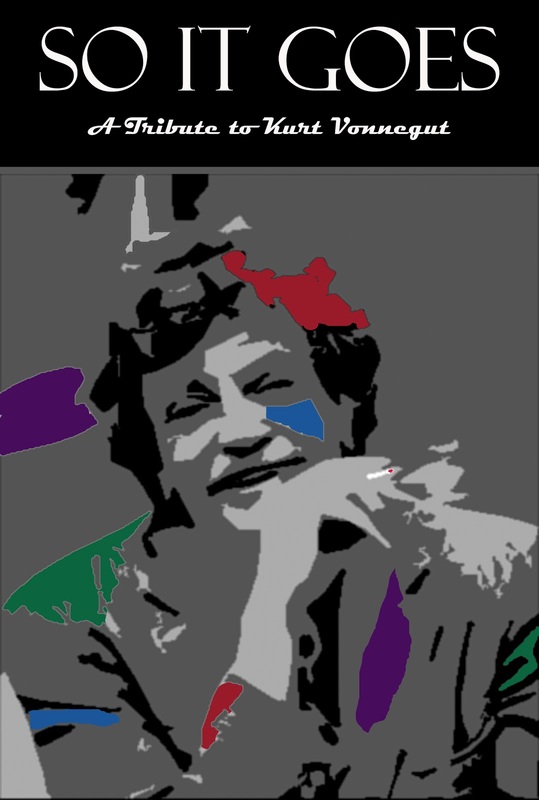 The publisher who's releasing So It Goes: A Tribute to Kurt Vonnegut (which will contain my story 'The Truth') just launched a promo site. It contains a page for each of the authors, plus a form for pre-ordering copies. Check it out. The other authors and I were asked to draw self-portraits for our pages. We were told that they didn't have to be neat, and if we needed an inspiration, we should think of Kurt's line drawings. That was a relief for me because I can't draw to save my life. In fact one of the main reasons I became a writer was because I knew I'd never make it as an artist. Here's what I came up with. 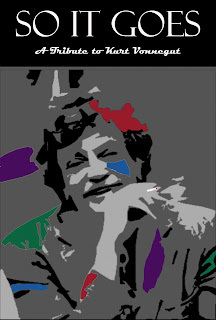 Also, they told us that if we wanted we could write short essays about Vonnegut and they'd be posted on the site. They said it could be about anything we wanted, as long as it pertained to the man in some way. Here's mine. Oh yeah, the book will be available by the end of the month.